Street Art-plex (SAP) is a leading ‘venture culture’ project (a term coined by cellist Yo-Yo Ma referring to his Silk Road Ensemble) which, by regularly bringing a wide range of artistic performances and art to mostly outside public spaces, creates an environment in which the world of artistic expression becomes accessible to the general public. Street Art-plex is a community project that brings the public, artists, and local business people together to create a high quality diverse urban culture. SAP aims to become as essential to people’s lives as our lifelines such as water, gas, power, clothing, and telecommunications, and thus developing a harmonious and stimulating community which resonates with human sensitivities. Commercial benefits are not the priority. Open to every style of artistic expression. Shift or remove boundaries between “regular life”and practices of artistic expression. All the staff, volunteers will support the artists. Promotion is focused on artistic expression – not ideology, religion or faith. In principle, profits (after costs) from voluntary projects will be distributed for future performances and should not be used for other purposes. Basically, we do not accept performances that use pre-recorded CDs. Also, we try to minimize background music or announcements, unless intrinsically necessary. Volume restrictions also apply to announcements. Art-plex values serenity and the usual environment of the city. There is no restriction for address, age or nationality of planners. Anyone can freely submit their proposal by written plan. After a successful evaluation, well experienced Art-plex members will wholeheartedly give support to the performance. When an Art-plex producing member or artist is professional, he or she has the right to receive money from a sponsor (city / shopping mall / company). 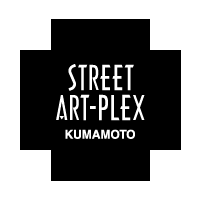 However, if possible, the artist’s fee will be set at “Art-plex price (that has been explained in advance)” which is lower than usual with a mutual understanding of the content.Any plans with Street Art-plex are made on the premise that SAP is an ongoing Non Profit project. Artists and organizers need to understand this project has different aspects from usual management of business. This should be a community service. There may be some special considerations made when a planner has more demands on time and expenses in preparation for a performance. Planners are responsible as organizer from beginning to end of a project. They should not benefit financially (except to cover costs). Planners need to submit proposals and need verification from the SAP committee. Planners must be present at the performance. Planners must be responsible for the entire process, including a written report after the conclusion of their project.